So since Spring is already here let us see some lovely Spring Bags this time. We already have many lists of Free Patterns for Spring and Sumer like Beach Coverups, Beach cover Up Skirts and Spring Wreaths. 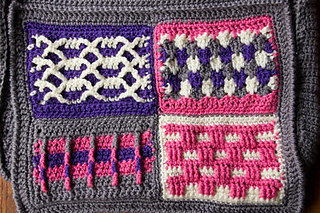 So today we will see some lovely Crochet Spring Bags. Mesmerizing Messenger Bag by Tamara Kelly of Moogly is such a pretty one. It is made using Aran weight yarn and a 5.00mm crochet hook. 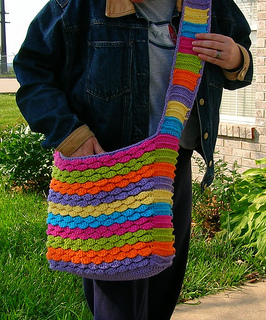 Spring Petals Messenger Tote by Susan Gater is a lovely one made using Worsted weight yarn and a 6.00mm crochet hook. The pattern is available as a Free Ravelry Download. 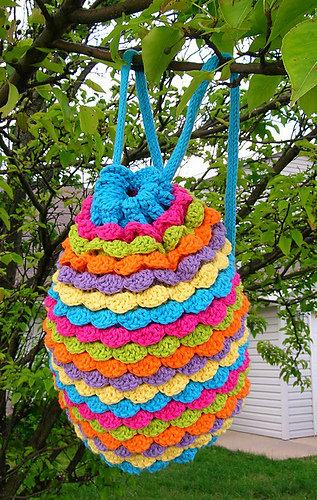 Spring is Back Bag by Susanne W. is a nice and simple one made using Super Bulky Yarn and a 9.00mm crochet hook. The pattern is available as a Free Ravelry Download. 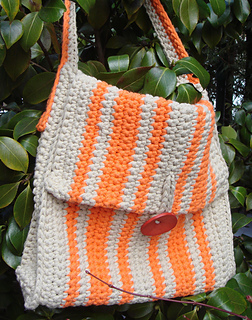 Granny Messenger Bag by Anna Uehling is a cute one made of Granny Stipes using Worsted weight yarn and a 5.5mm crochet hook. Celebrating Spring by DROPS design is a lovely one made using Aran weight yarn and a 5.00mm crochet hook. 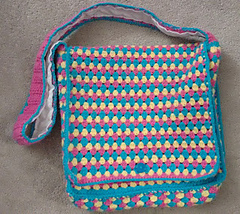 Groovy Berry Messenger Bag by Mary Beth Temple made using Bulky weight yarn and a 5.5mm crochet hook. We loved the colours she has used. 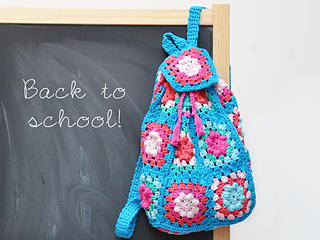 School Backpack by Yarnplaza.com is a lovely one made using Aran weight yarn and a 5.00mm crochet hook. 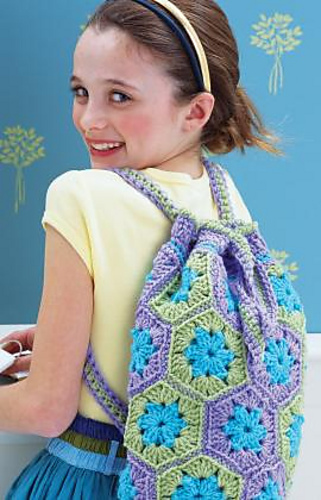 It is a nice Granny Square backpack. Spring Petals Backpack by Susan Gater is a lovely colourful backpack made using Worsted weight yarn and a 6.00mm crochet hook. The pattern is available e as Free Ravelry Download. 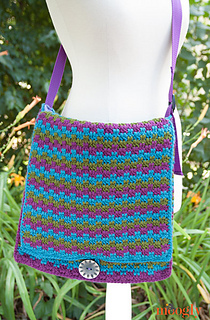 Summertime Tote by Ellen Gormley is a lovely one made using Worsted weight yarn and a 6.00mm crochet hook.